Well the answers to your questions are finally here. 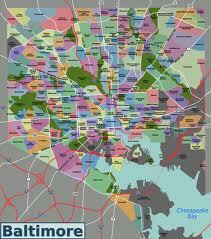 The Baltimore Art + Justice Map is live! Exciting right? The map (as is your profile if you were awesome and pre-registered) can be found at artplusjustice.org. For anyone who attempted to register before and found the process confusing and may have not completed their profile, the website offers a new stream-lined registration that is, in fact, simple and fast. While the website is live, we are still working on some tweeks and trying to polish it up in the next week. In the meantime, please check out the map and share it with friends who haven’t mapped themselves yet! Thanks again for your continued support of BA+JP! Are you an artist, designer, creator, community organizer, or advocate working at the intersection of art and social justice within Baltimore? The Baltimore Art + Justice Project is collecting data for an interactive map of art and social justice activity in Baltimore. Put yourself on the map by going to www.mica.edu/bajp and complete the BA+JP questionnaire! Please Note: If you work in Baltimore City but live in the surrounding counties, please use your Baltimore City address and zip code when creating your Animating Democracy account! The Baltimore Art + Justice Project is focused on strengthening art and design-based collaborations to improve the lives of city residents. The strength of the project lies in its grounding in place, the city of Baltimore, while also creating a space for connections and community to grow. Arts districts are important social and economic engines for cities; however, for social justice to be truly achieved, the project needs to reach the overlooked areas of the city where art and justice may seem in short supply. The reality is that we simply need new tools and a new vision to better learn to see the connections that arts can provide in urban areas. We need a road map. The method of the Baltimore Art + Justice Project includes creating such a road map in connection with Animating Democracy’s Mapping Initiative. This project has the potential to make the hidden visible and connect various resources for a more dynamic and lasting impact on Baltimore’s cultural landscape. At the December 2, 2011 Bmore Historic conference at the Maryland Historical Society, I attended a session on Spatial/Digital Humanities where mapping initiatives in the Baltimore region were discussed. One central question of the session was: Why mapping? What is so alluring about this tool at this specific moment? People love maps. Maps help us navigate our day-to-day lives and enable us to see relationships and patterns. Moving beyond the practical aspects, exploring maps give us a new perspective on seeing place and our connections to it. Maps can be framed as an art form as well as a practical tool. Maps provide a context for understanding places and help to make social and political boundaries as well as geographic ones visible. However, as anyone who has worked with maps (in the form of artifacts, digital representations, or data visualizations) knows, maps only tell part of the story, and sometimes they even lie. Therefore, people (artists, historians, designers, preservationists, archivists, and the general public) need to fill in the blanks and provide the deeper context and connections. To achieve these connections with the Baltimore Art + Justice Project, the aspect of data collection is supplemented by community engagement on the ground. This project provides a tool for envisioning a more connected and just city, but it needs you to engage in dialogue, outreach, discussion, storytelling, and other interactive activities. Maps are flat until people interact with them. Data is just numbers until connections, patterns, or ideas emerge. There are various mapping projects in urban areas that have directly intervened in the lives and spatial stories of the people and places that make cities work. The City of Memory map designed by City Lore in New York City provides the ability for users to add to the collection of stories. Digital Harlem: Mapping Race and Place in the 1920s allows the past of a specific neighborhood to come alive. Cleveland Historical is a free app that puts history and culture right at your fingertips. Working with the Cleveland Historical format, Baltimore Heritage, the city’s nonprofit historic and architectural preservation organization, recently developed Explore Baltimore Heritage, a website and smartphone application for both iPhone and Android devices featuring a map of historic neighborhoods and buildings from across the city. My area of expertise is in place-based urban history and culture. However, I see history, culture, art, and community as essential tools for developing better and more just cities. Often, the places we never really see are the very ones that offer new perspectives on our culture and our shared history. The Baltimore Art + Justice project uses a web-based mapping resource to provide artists, designers, arts organizations, community-based organizations, advocates, and funders a tool for advancing social justice in Baltimore. All city residents from all walks of life need to make the connections and make this project come alive. Maps matter when people use them.